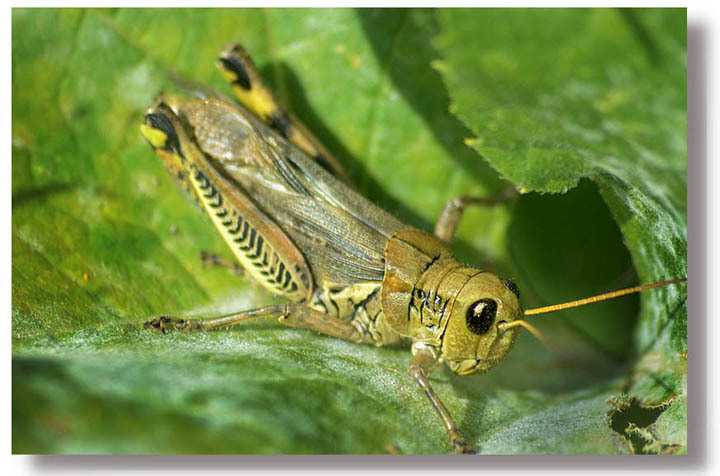 A grasshopper searches for lunch in a backyard jungle. All www.watermargin.com text and photographs © Neal Ulevich 2015. All rights reserved.